Bottle caps are more than just drink toppers; colorful, fun and versatile, you can do so many crafty things with them! Turn a simple round mirror into a creativity-quenching wall piece for your studio or bar area with a variety of bottle caps and Aleene's® The Ultimate Multi-Surface Adhesive. Make sure mirror is clean and free of any debris or dust. If you want, first lay the bottle caps around the mirror to get an idea of how everything will fit together. Otherwise, just go for it and start glueing the bottle caps in place! 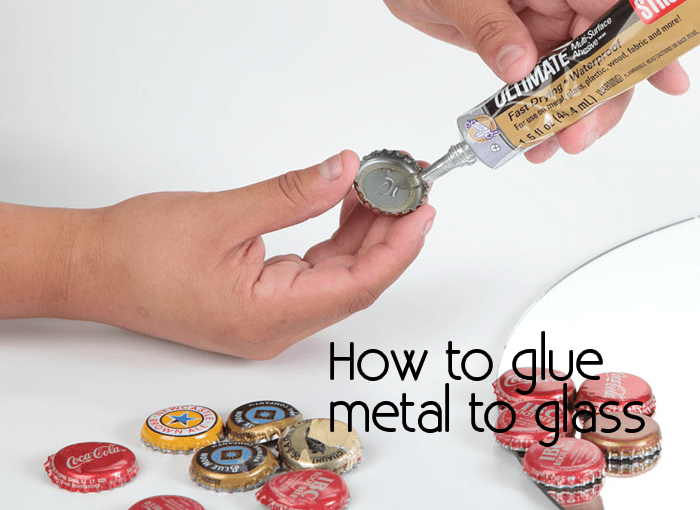 For best results, allow the glue to set up for 2 minutes before pressing the caps onto the mirror. Repeat the process until all bottle caps are glued in place. Let the mirror dry flat for 24 hours before hanging. Time to sit back and enjoy your handiwork!